New parents expect diapers to be stinky but they often don’t expect them to be so expensive. 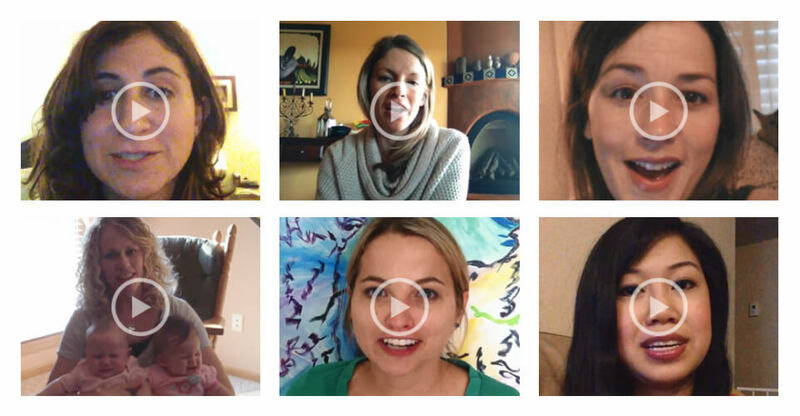 While you can’t make changing diapers more fun, you can certainly make buying them easier. Be a hero and give our Diapers for a Year Subscription! 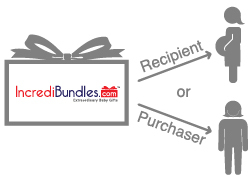 Upon your purchase of this bundle, your recipient will receive an adorable teddy bear holding a certificate announcing your gift. The plush and gift announcement arrive sweetly packaged in one of our signature reusable storage boxes. The announcement includes simple instructions the recipient will use to redeem their diapers each month. Mom and dad will be able to choose the brand and size they need and will appreciate the ease of having diapers delivered right to their door every month! Your generosity will be remembered with every diaper change! Note: This product is only available for residents of the Continental U.S. 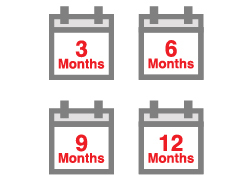 Choose to give a 3, 6, 9 or 12-month Diaper Subscription! Upon your purchase, we send an adorable package announcing your gift! We can ship this directly to the recipient or to you to bring to a baby shower. 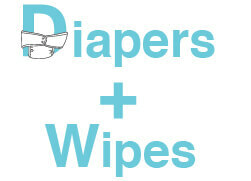 Purchase a Diaper Subscription AND Baby Wipes Subscription to Save! When purchased together, a $30 discount will automatically be applied during checkout. Note, the certificates for both subscriptions will be delivered in one announcement package. The Announcement Package contains all the information your recipient needs to redeem their diapers. Your recipient gets to pick the brand, type and size of diapers they want on their own schedule. The diapers are delivered straight to their door each month! Where should I have the Announcement Package shipped? If you are going to a baby shower and / or want to hand-deliver the gift, then have the Announcement Package shipped to yourself. We do not need the recipient’s name or address when you purchase the gift. They will provide their name and address to us when they register and activate their subscription. If you want the Announcement Package shipped directly to the recipient, then during checkout, click “Ship to a different address” and enter the recipient’s name and address. How does the recipient receive the diapers? The Announcement Package includes instructions for the recipient to redeem their gift of diapers. They will first create an account at our website and activate their subscription using the unique activation code on the certificate included with the Announcement Package. Each subscription entitles the recipient to place a set number of orders for diapers – 3, 6, 9 or 12. When the recipient is ready to order, he or she will submit the order via our website. At that time, they will be able to choose the brand, type and size of diapers they wish to receive and assign the ship-to address for that month's delivery. 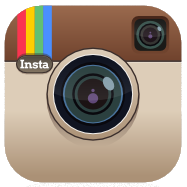 When does the subscription start and does it expire? 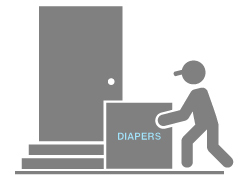 The Diaper Subscription starts when the recipient places their first order. The recipient does not need to start their subscription immediately nor do they need to place their orders over consecutive months. The subscriptions do not expire and subscribers are welcome to spread their shipments out over a longer period of time. Each subscription allows for a specific number of orders / deliveries – 3, 6, 9 or 12. Once the recipient has placed and received all of their orders, their subscription will end. Are there any additional shipping charges to the recipient? No. Rest assured, there are no additional charges to the recipient for the monthly shipments of diapers. How long does it take for the diapers to be delivered? The diapers are delivered via FedEx usually within 3 - 5 business days after we receive the order. What types of diapers are available and how many are delivered each month? 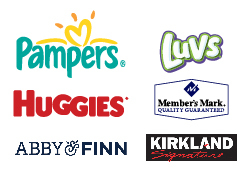 We offer Pampers, Huggies, Luvs and Member’s Mark brand diapers. For a chart outlining the full list of diapers we offer and the number included in each case, please click here.